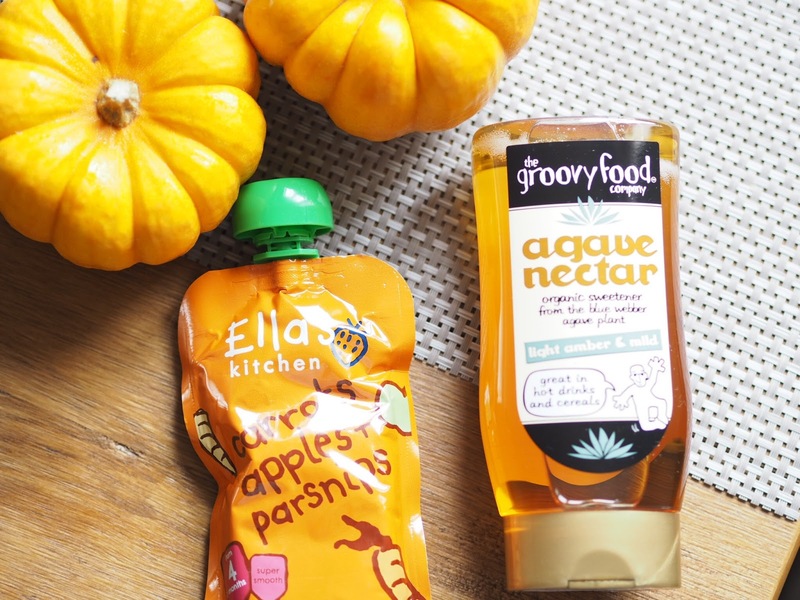 I took on the challenge of trying out some products from The Groovy Food Company… oh, and to create a Halloween themed recipe! One day I was walking and tweeting (I don’t suggest anyone do this!) 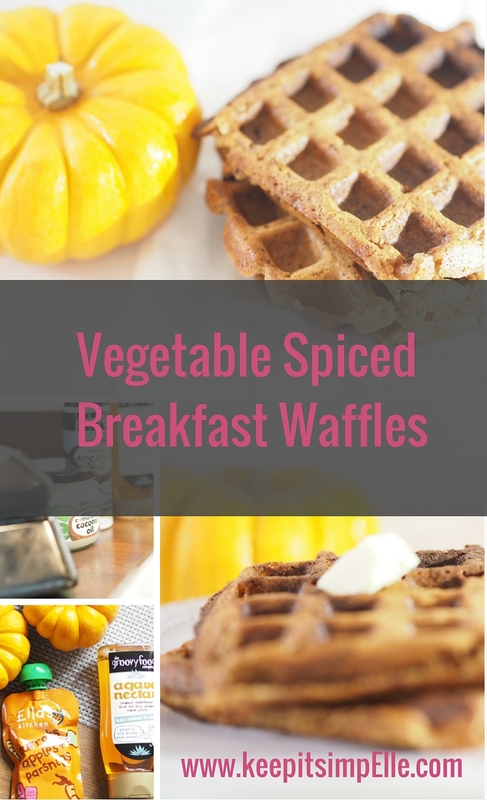 and I came across a recipe for Carrot Cake Waffles with a secret ingredient; carrot puree baby food. I happened to be outside a supermarket at the time so I popped straight in. They didn’t have just carrot so I ended up getting a carrot, apple and parsnip organic puree. 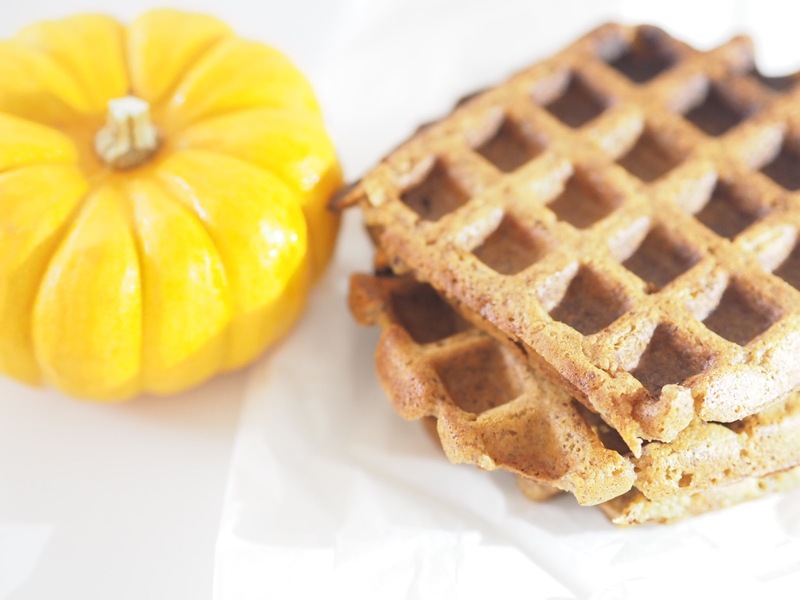 So let it be known, that that recipe and this recipe for oat flour waffles are my inspiration! You know me; I pulled out the Vitamix to make my oat flour from my packet of porridge oats! Also, make your flax egg at the start so it has a few minutes to stand and thicken. 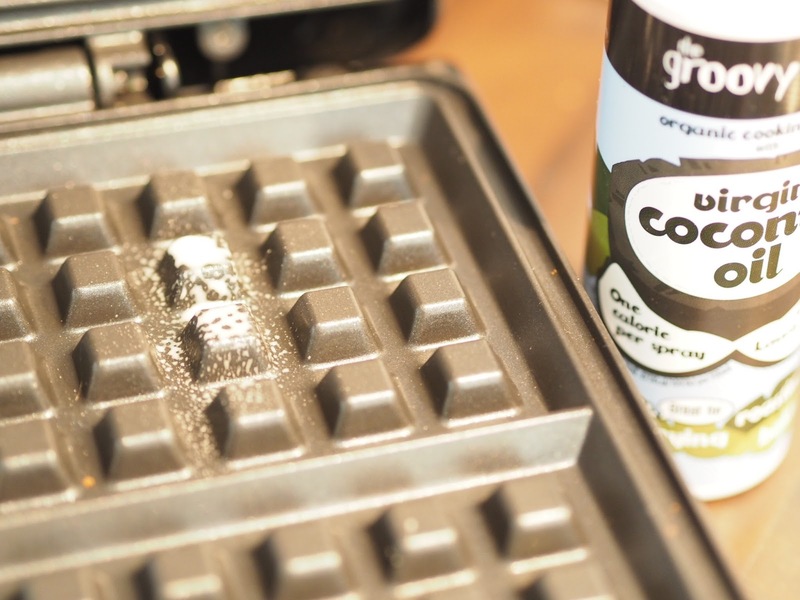 Spray your waffle iron with coconut oil spray and turn on to allow it to heat up while you make your waffle mix. I then put all the dry ingredients in a bowl and used a hand whisk to mix them up. I added the coconut oil to the milk and microwaved for 20 seconds to melt the oil. Then add the rest of the wet ingredients and mix with the whisk. Add the wet ingredients to the dry ingredients and give it a quick whisk. 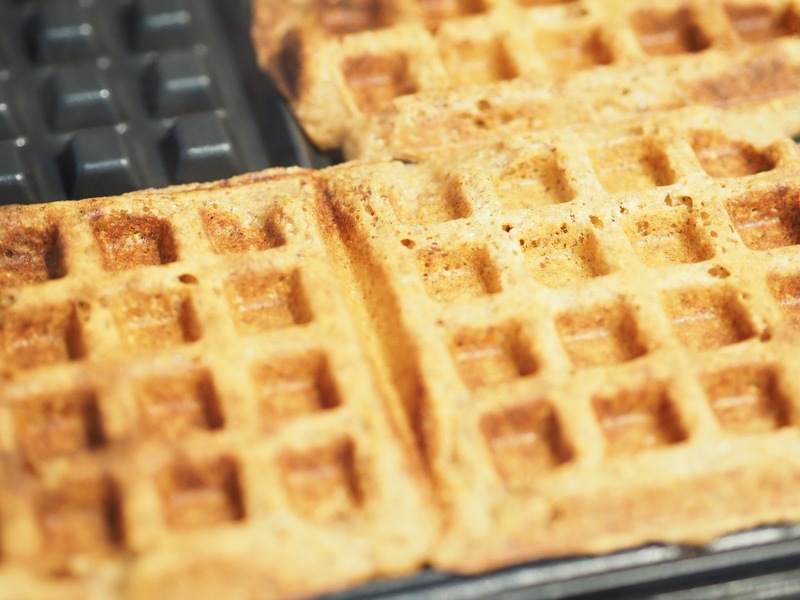 When your waffle iron is ready, pour the mix into it and close to cook. I think 6 – 8 minutes would have been perfect for my waffle iron but I was a little enthusiastic and turned if off after 5 minutes then turned it on again and almost cremated the waffles! I guess it is Halloween after all! This time I used the amber and mild agave nectar which is a great substitute for sugar. It’s fat free and organic too 🙂 so can count towards your small changes! Agave is the only sweetener I have in my kitchen cupboard and I use it anytime a recipe calls for honey or even maple syrup and as it’s so much sweeter than sugar itself you can use a third less! This coconut oil spray is the newest kid on the block. 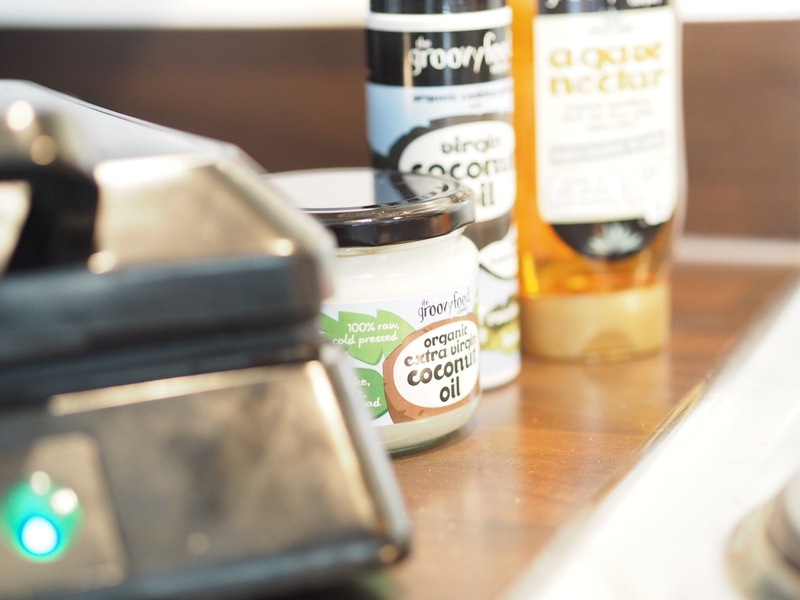 Groovy blend coconut oil with rapeseed oil to make this cooking spray. I like it as it’s great for portion control when using oil to fry, roast or bake; it’s just 1 calorie per spray! 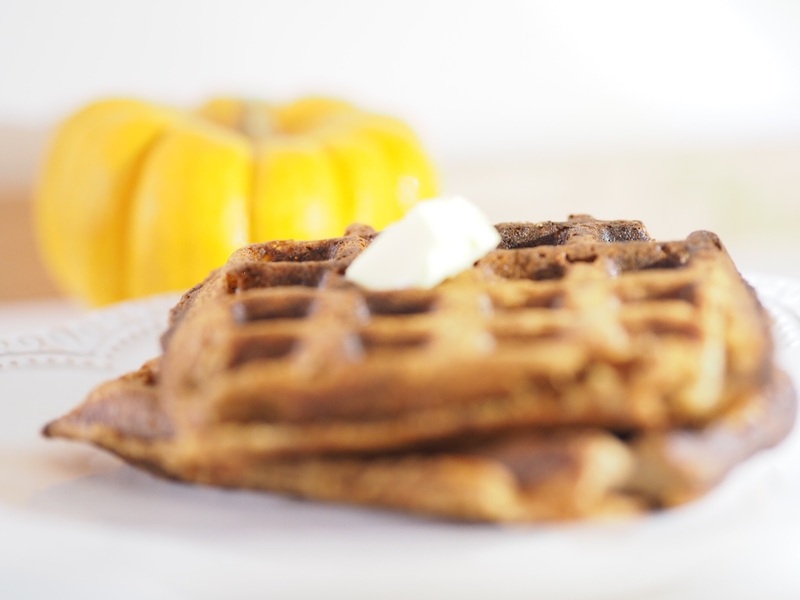 I used it on this occasion to grease the waffle iron with one spray per waffle grid! I used the regular jarred coconut oil in the actual recipe as a substitute for butter. Helps with the ‘ol dairy thing too for those of you, who like me, are lactose intolerant! So if you don’t already own one, go buy a waffle iron! It’s one of my favourite kitchen purchases this year and gets used more often than it probably should! Well, there you go! Happy Halloween and all! Ahh this looks so yummy!!! I have that agave nectar too and I have it with my breakfast every morning 🙂 Laura @ What's Hot? I've never looked back since discovering agave nectar 🙂 only time I stray is for some authentic maple syrup! thanks Carla 🙂 I vowed to make good use of it if I purchased it so I'm being a woman of my word! haha! YES! I think everyone should have a waffle iron! I'm going to experiment with omelettes in it next! YUP! !